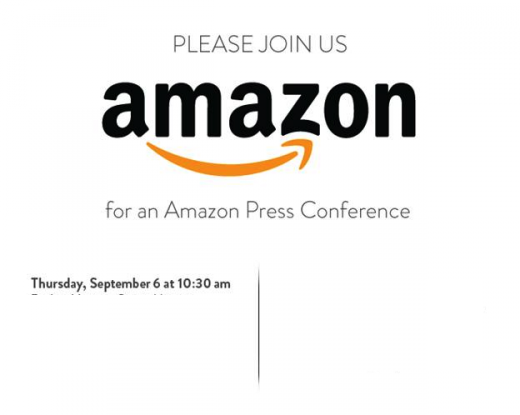 Amazon has sent out invites for a press conference it is holding on September 6th. The event is being held in Santa Monica and at the moment, that’s all that is being announced by the company. Speculation at the moment is revolving around the launch of a new Kindle Fire 2 or perhaps even a smartphone. Alternative options could be a new generation Kindle announced (of the reader variety), perhaps one with colour eInk, or perhaps back-lit. I think it’s safe to say that nobody really has a clue what is coming up at the event other than Amazon of course. Either way, Amazon should be announcing something interesting that day that will more than likely be some kind of hardware. TNW reports that the venue that Amazon is holding this event is huge, so expect a busy day with lots of reports and hopefully, lots of new next generation hardware. I’m intrigued and will be watching!